Energy price rises have been amongst the biggest change that has taken place in our society over the last few decades. Their impact, particularly when this book was first published in 1983, had a growing importance in social policy, practice and research, and fuel was, and still is, a major public issue. 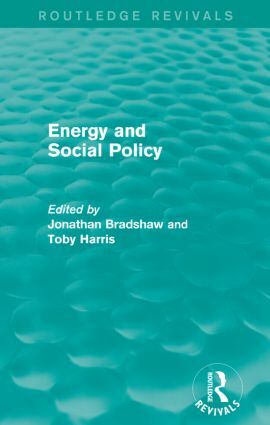 This collection of essays describes how any why domestic fuel prices have been rising faster than other prices and incomes, what impacts this has on domestic budgets, and the extent of ‘fuel poverty’. The resulting problems of debts, disconnections, cold conditions and hypothermia are discussed by specialists in these fields. This book is ideal for students of economics and social policy.